If you’re like most people, chances are that you’ve never even heard of the area of law known as elder law. That’s certainly true if you’re in your younger years when legal concerns all seem to affect everyone on an equal basis. 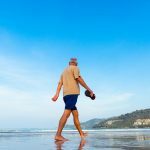 By the time you’re a senior citizen, the laws that directly impact you are likely to encompass topics that seem of little importance to the young. To understand why this will matter once you’re a senior, it is vital to understand just how elder law can impact your life. Let our Ashland elder law lawyer explain how elder law planning can be beneficial. Elder law is a term that describes all of those legal issues that have an impact on people as they get into their retirement years and eventually pass on from this life. While many people just assume that retirees have everything pretty well-established prior to reaching their senior years, nothing could be further from the truth. Seniors still have many legal matters of great importance to their lives; those concerns are just focused on different things than they dealt with in their younger years. Of course, that is not to suggest that younger people cannot be impacted by elder law issues as well. In fact, there are many occasions in which elder law attorneys might be needed to assist young parents and others who experience unexpected life changes. Elder law encompasses a broad range of legal concerns that affect seniors and others. To fully understand this impact on real lives, it can be helpful to examine some of the most relevant issues that cause seniors to turn to Ashland elder law lawyers. For many seniors, the increase in the average life expectancy means that at least a portion of their final years of life may require some level of assisted living. As seniors age, they often find that they can no longer do all of those daily tasks that they once considered routine. In addition, many suffer from various medical conditions that require a higher level of ongoing medical care than they can receive in their homes. As a result of these changes in their lives, millions of senior citizens require some type of long-term care in nursing homes or other care facilities. The decision to move into a long-term care facility brings with it many challenges. In addition to concerns about the appropriate level of care and the selection of the right facility, there are also concerns about cost, the transition from independent to assisted living, and even things like elder abuse and neglect. Since few seniors can manage these costs on their own, many people turn to attorneys to help them plan for Medicaid eligibility. All of these things fall within the realm of elder law and can have a major impact on these seniors’ lives. When most people think about seniors and incapacity, their minds automatically turn to diseases like Alzheimer’s and dementia. 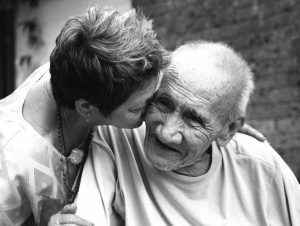 While any form of dementia can result in a loss of capacity that renders a person unable to think clearly and make his or her own decisions, there are other forms of incapacitation as well. Major illnesses or injuries can result in coma, loss of cognitive function, and other impairments that can create a temporary or even permanent disability. And this isn’t by any means limited to the elderly. Even young parents can suffer incapacitation. Ashland elder law lawyers help seniors with potential incapacity by assisting them with the creation of important planning tools like powers of attorney and living wills. When the incapacitation has already occurred, an elder law attorney can assist with guardianship proceedings to ensure that the senior’s interests are protected. There are other concerns that can be addressed by an elder law attorney, including things like estate or retirement planning, the creation of wills and advance directives, and more. As people get older, their thoughts often turn to those end-of-life concerns that will directly impact not only their well-being but that of their loved ones as well. An elder law attorney can often help to ensure that these older clients receive the guidance and assistance they need to complete their planning efforts. Of course, elder law issues can affect you even if you’re not directly impacted by the legal concerns faced by seniors. 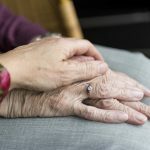 If you have an elderly loved one facing any of these issues, then you are likely at least indirectly impacted by elder law concerns. If you’re a caregiver for an elderly person, then you may come face-to-face with the issues that he or she deals with every day. If your parent is in need of long-term care and struggling to find the financial assistance needed to cover nursing home costs, then you know how difficult these challenges can be. Join us for a free seminar today! 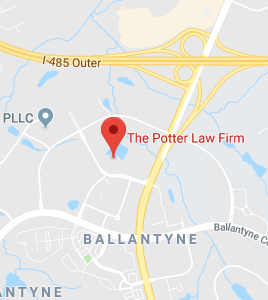 If you have questions regarding elder law planning, please contact the experienced attorneys at The Potter Law Firm for a consultation. You can contact us either online or by calling us at (704) 944-3245 (Charlotte, NC or Huntersville, NC) or for individuals in Kentucky at (606) 324-5516 (Ashland, KY) or at (859) 372-6655 (Florence, KY).